Happy May! 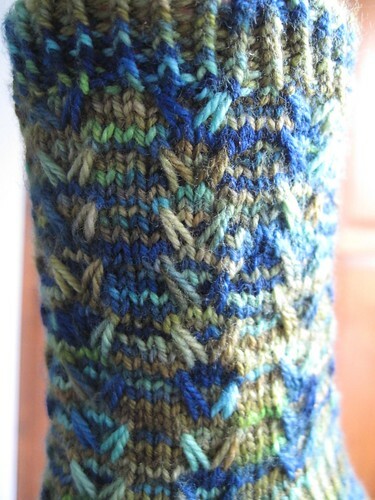 It's time for another pattern in my e-book, Head, Shoulders, Wrists & Toes! I love to buy some wild and crazy yarns. I get lured in by the color combinations and color transitions where two colors meet and form a color I swear I have never seen before. These yarns often end up sitting in the stash, because I can never seem to find the right pattern to show off their variegated goodness. 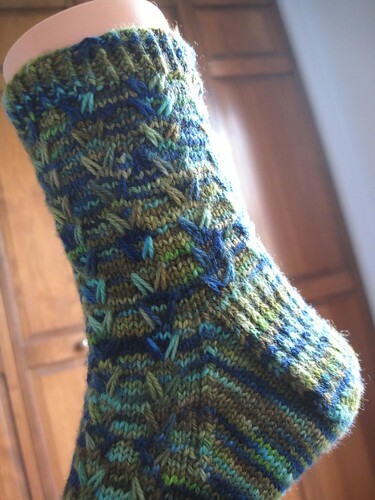 Enter the Abelia socks. 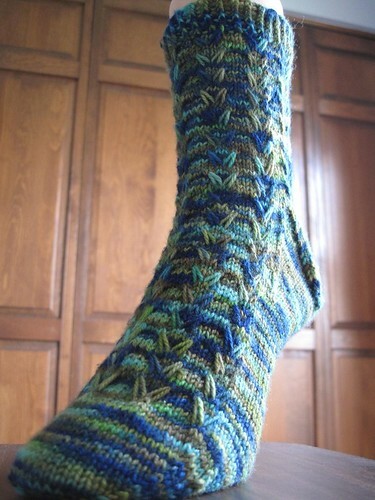 Using slipped stitches and some easy cables, these socks are ready to show off even the craziest sock yarn in your stash. This is the fourth pattern in the e-book. Four more to go!! For now, this pattern is available exclusively in the ebook. It will be available for individual download in July.